This lovely young couple had been planning their wedding for over a year, They choose the QE II Botanic Park's "Colour Garden" for their early June wedding. 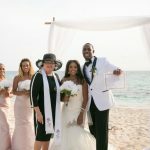 They said their vows surrounded by family and friends, E was escorted down the aisle by her father to music by Michael Lemay's steelband. 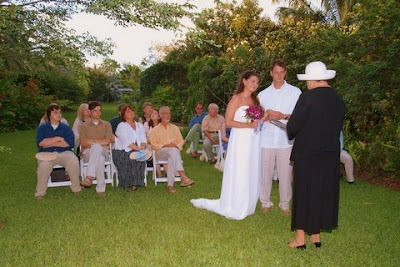 E choose her own reading from the Book of Ruth, which encouraged me to write a special ceremony for her that spoke to the joining of two families. I felt that being able to have both families present meant a lot to E and M, they were so please to share their special day with a family group of 25. Mr and Mrs...at last! 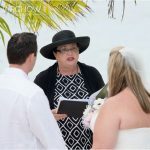 Photography by Kirk, arrangements and florals by Trisha's Roses, ceremony by Simply Weddings. 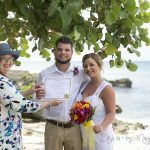 ceremony and all the legal requirements for being married in the Cayman Islands. 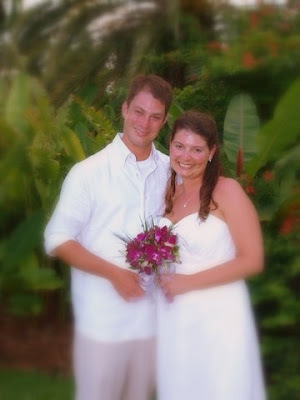 This is because our companies Simply Weddings and Cayman Weddings have both planners and marriage officers on staff. 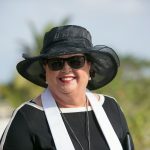 Just tell your planner you want "the lady in the hat"!